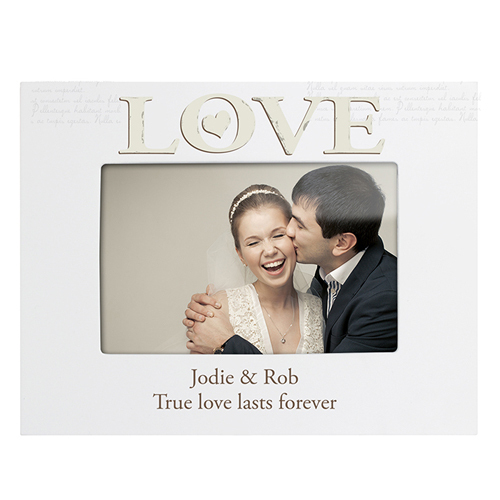 Personalise this Personalised Love White 6x4 Frame with any message over 2 lines of 30 characters each. 'LOVE' is fixed Material is wood with a white paint coating. Can be displayed hanging or standing, to fit in the space available.